One of the most challenging things about creating a company is how to differentiate yourself from the world around you. In the past twenty years, startup culture has become increasingly prevalent around the globe, with more and more people wanting to work for themselves or in small companies with great cultures. In fact, more than 25 million adults in the United States alone are entrepreneurs! So how do you stand out among so many entrepreneurs, ideas, and budding businesses? Unique differentiation is one of the key factors for success in a startup, and in this lesson we’re going to walk you through a few frameworks to help identify unique opportunities: the Value Proposition (full lesson here), the 3Ds, and the Perfect Startup Storm. You can be disruptive and unique in so many ways! Don’t just focus in on technology as your only differentiator. Look into business models, serve a different segment, or provide new solutions to old problems. As you work through this lesson, think about your idea and your value proposition and imagine how it could fit into the the Value Proposition framework, the 3D framework, and the Startup Storm framework presented below, and how you can start differentiating your company in the market. For any questions or comments, head over to our forums! 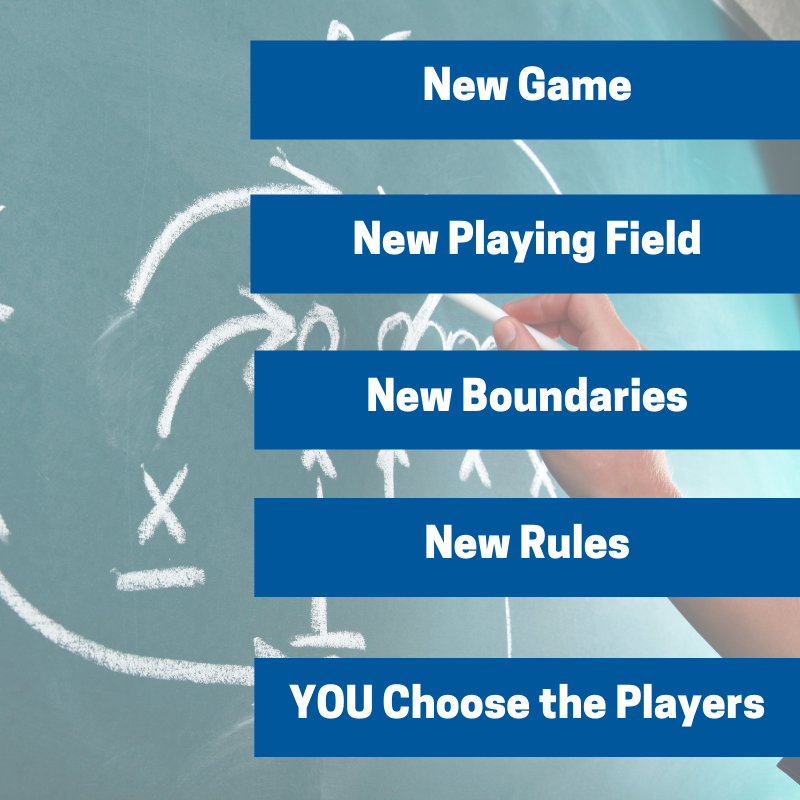 For more on the 4U framework, check out the lesson here. Don’t forget that you are at the core of your value proposition, and your unique differentiation. The best value propositions are developed by people who are uniquely able to solve a problem, due to their background and experience. Those are the people that are able to come up with insight that gives them an advantage in addressing the problem within their value proposition. Further, founders with background experience are often able to provide solutions that they’re passionate about and believe in. What problems do you understand uniquely well? What solution can you deliver uniquely well? What kind of disruptive business model can you bring? When finding your unique differentiation, it’s also essential to find your CORE Value. Focusing on your CORE value will help you narrow your focus and hone in on your unique differentiation. Also remember that while your value proposition may have multiple facets (e.g. solving a problem both for a business and their customer), it’s necessary at the beginning to focus on one. Here, you’ll need to decide which side is better served first, because it’s difficult to do both well, at the same time, from the beginning. The distraction of multiple value propositions will make it more difficult to focus in on your uniqueness. This is part of why two-sided marketplaces are really tough, but if you can serve one side of your value proposition well, you will ideally be able to morph the value propositions together and serve the other side of your value proposition in quick succession. How do you address a pain or need? What is unique or defensible about your product? Many entrepreneurs make the mistake of saying they don’t have any competition. While you may not have direct competitors, you are always competing for a customer’s dollars. Chances are, customers don’t have money lying around to risk on startups, even if your idea is completely new! Whether your customer is a business, institution or a consumer, there are always a finite number of dollars in the bank. Remember to always think about your unique differentiation in terms of your true competitors: everyone. What would compel your customer to buy something from you, and forsake spending that money on something else? Instead of competing head-on with industry leaders that have 80 or 90 percent of the market, find a way to go around them. If your only differentiation is that your product is faster, better, or cheaper than the market leader, remember this: they have more money than you! Instead, focus on some of the other concepts in this lesson to become a contender in any market. You can also work on using your team, your culture, and your business practices to differentiate yourself from your competitors. Your strategy is just as important, if not more important than your product when it comes to differentiation. Your unique differentiation can’t just be in your mind, it needs to exist in the mind of your customer. Ask yourself: can your customer state the value proposition? Is the value proposition framed and expressed from the customer’s viewpoint? For outside reading, check out The Innovator’s Dilemma by Clayton Christensen, which talks about how to inhabit spaces outside of market leaders. Also, check out Crossing the Chasm by Geoffery Moore, which explains how to squeeze out industry leaders slowly and gain market share. Here at Startup Secrets, we think about breakthrough opportunities through the 3D Framework. Most entrepreneurs think that their idea is a huge breakthrough, but how do you know if it really is? Walk your idea through the 3D Framework with Defensible technologies or ideas, Discontinuous Innovation, and Disruptive Business Models. We live in a world of technology today, with massive companies like Google, Microsoft and Apple dominating tech fields from artificial intelligence to smart phones to word processors. When you’re thinking about your technology or idea, it’s often not as defensible as you think it is. With massive market leaders, they’re often able to replicate your idea, even with intellectual property defenses, within months or years. Just assume that any technology advantage you have will be short-lived! And if you’re working in a consumer product business (e.g., a new purse or backpack, or a new food product), then your chances of differentiating on technology shrink much further. In those cases, your differentiation will likely fall in four areas: branding, packaging, go-to-market, and other “soft” points of differentiation that are very difficult to protect for any length of time. Because technology is not be as defensible as we often want it to be, it’s important to think of other ways to defend your business. While intellectual property defenses are a great place to start, you definitely need to go further! Check out our lesson on Defending Ideas for more on how to build walls around your product. 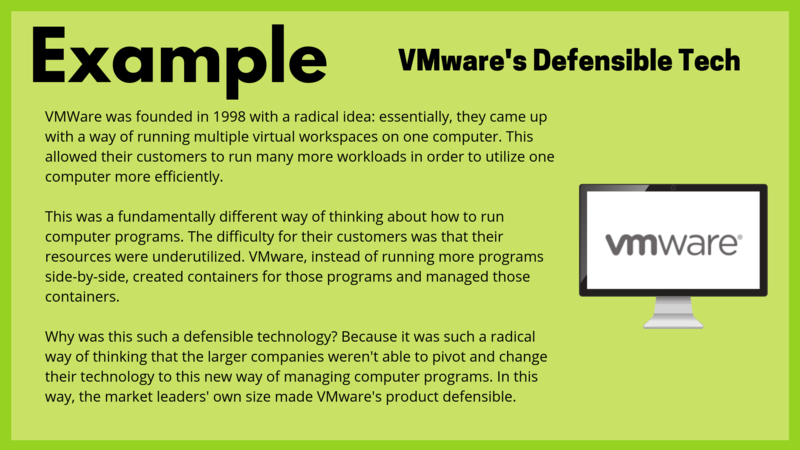 In order to come up with a breakthrough that will differentiate your product, it’s important to think about these means of defense. Always remember that faster, better, and cheaper is almost never the way to differentiate your product - it’s just too short-lived! If your only advantage is that your product is faster, has more features, or costs less, those big companies and market leaders will be able to catch up quickly! Defining your uniqueness this way essentially lays out the roadmap for your competitors to beat you. All successful startups are based on innovation. You’ve come up with a new process or a new feature or a way to solve a problem. To have a unique company with a breakthrough idea, it can’t just be any old innovation. It has to be, in some sense or another, discontinuous. What do we mean by that? Think about your product for a moment. Is it completely different from anything that’s been done, or is it just a new take on an old process? Is it a new solution to a problem, or more features and capabilities for an old solution? If you’re working on additions or new takes on an old process or solution, it’s not a discontinuous innovation. This isn’t to say that continuous innovations don’t make great companies sometimes! But a total breakthrough that would make your product really unique is not just a linear addition to a process or product that’s been around for years. Let’s think about some examples of discontinuous innovation. Before Ford, car companies existed, and were building cars at impressive rates in the 1900s. But when Ford invented the assembly-line way of producing cars, he built a discontinuous innovation that completely revolutionized the automobile industry. Or you can think of Netflix. Before Netflix, you had to go visit a video rental store like Blockbuster. Once Netflix started the discontinuous innovation of delivering straight to your door, and then built an online platform, they completely disrupted the video sales and rental business. Innovation doesn’t have to be just about technology. Your discontinuity may be a new form of distribution that’s particularly unique, or a way to integrate with other products. Think about discontinuity in every sense: what really hasn’t been done before? At Startup Secrets, our favorite of the 3Ds is this: disruptive business models. So many entrepreneurs focus so much on their product that they forget how game-changing a completely new business model can really be! As small companies, startups have a huge advantage when it comes to their business models. Large businesses are stuck in their business models. It becomes incredibly difficult when you have 100 employees and an established identity to try and change your business model. Big companies have money and time, and they can always chase down technology! But what they can’t do is change their whole way of navigating the market. Startups can! Business models are a great way to differentiate yourself for this reason. Before the 2000s, people didn’t think about how business models could be disruptive. When the internet became popular, it really revolutionized entrepreneurship, and provided tons of avenues for new business models, like data collection and the subscription economy. For more on types of business models and how they shape your company, head over to our Business Models lesson. This is a subject that is often overlooked by entrepreneurs: differentiating your business on the basis of your market segment and go-to-market strategy. Your decisions about the market you enter, the segment you target, and the strategy you use to introduce your product can be some of the most important decisions you make as an entrepreneur. It’s useful to not only go after a big market, but to find a segment no one is targeting. Why? Because often you can come into a market with a very similar product to a market leader, but differentiate yourself by targeting a different group of people that are underserved by the market leaders. 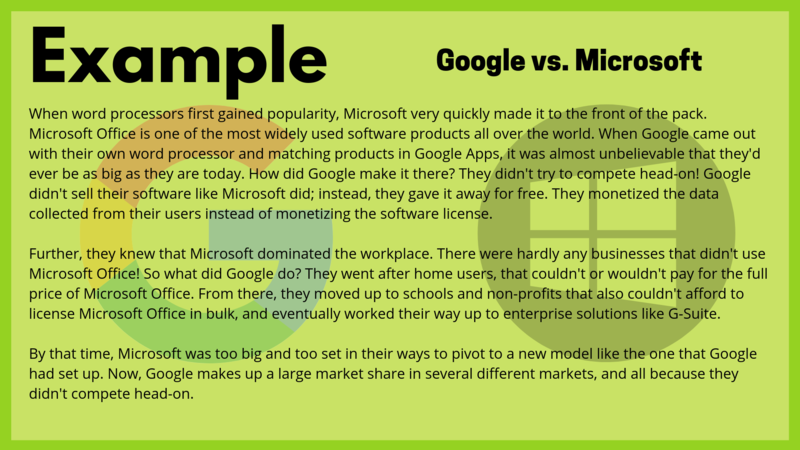 Remember the example about Google earlier: they had a similar product to Microsoft, but going after home users that couldn’t afford the Microsoft software license was how they started to disrupt the market. Look for all the specifics in your market sizing. To whom are you selling your product? What are your assumptions about them? At what price are you selling your product? Who doesn’t have access to the current alternatives? Where is there a gap in the marketplace? If you come into a marketplace and follow the same rules as everyone else about how they package, price, and distribute their product, you’ll be forced to play by their rules in every aspect of your business. You’ll have to match their price, go after the same channels, and more. Think about how you can rewrite the rules for your go-to-market strategy to build up your startup. What’s the perfect confluence of situations to really make your product unique? At Startup Secrets, we’ve boiled it down to three things: a disruptive business model, disruptive technology, and a new market and/or go-to-market strategy. 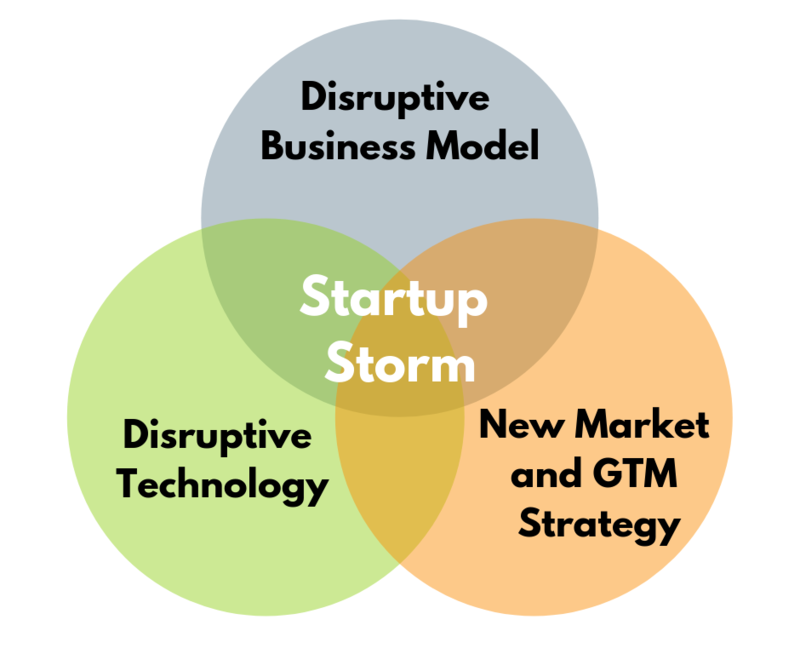 While the 3Ds are a great way to assess whether or not you have a standout product, the Startup Storm is our framework for understanding whether or not you really have a breakthrough. If you can nail all three of these things, you’re in the perfect position to become a successful (and investable) business. With all three aspects of the perfect Startup Storm, you’ll be able to elbow your way past the industry leaders and succeed as an entrepreneur. Your business model, your innovation, and your go-to-market strategy are all clever ways to set your business apart from the rest. Consider how you can navigate all three of these spaces as you build your business plan. At the end of the day, you will have to differentiate your product in one way or another to gain traction for your company. Work on your value proposition, and find your CORE value, and then evaluate it against the 3D Framework and the Startup Storm framework to see what you’re missing and where you can improve. Always be sure to get feedback on your understanding of your product; your customer should be your best friend! Brainstorm your value proposition and differentiation with your customers. Why did they pick you over someone else? What value do they see in your business? Why do they think you’re unique? If you can navigate these spaces of unique differentiation, you’re in good shape to launch your business! Make sure to revisit these frameworks as you grow; your differentiation may change along with the pivots in your company. For more on Unique Differentiation, see our workshop on the Roadmap to Success and Go-to-Market Strategies. For more on the 3D framework, check out these videos on Building a Compelling Value Proposition, Turning Products into Companies, and Go-to-Market Strategies. For more on Startup Storms, see our lesson on Go-to-Market Strategies. How do you figure out if your idea is worth anything? In this lesson, we're going to challenge you to focus on something smaller than a Minimum Viable Product: your CORE Value. Starting small will help you validate your idea and expand on your success.